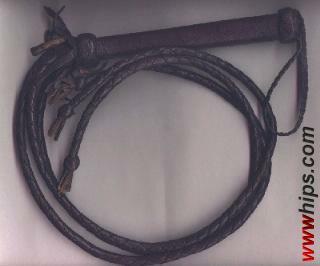 Riding whip from Pakistan (proven by attached label). Three 4plait tails are attached to a tapered, leather-wrapped handle. Made from cheap, dry leather.